We just know you are going to find a blackjack game variant on offer at any online casino site that has the Wagerworks range of Blackjack games to your liking, and we can say this with complete confidence as there are a huge range of Blackjack game variants on offer on their gaming platform. 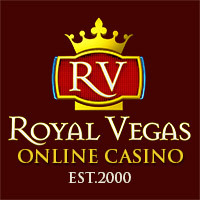 It should be noted however that Wagerworks powered casino sites offer a no download required suite of Blackjack games and as such any device you own which has a web browser built into it for example a home computer, tablet device or laptop can be used to access their range of games, they also have a range of mobile device compatible casino games too. One thing to note before we introduce you to the unique collection of Wagerworks designed online Blackjack games is that some of them offer a bonus side bet option. However, as each of those side bet options have a much higher house edge than the base game itself you are going to be best off not placing those side bets, for if you do then the listed house edge below on each of those bonus bet Blackjack games will be increased often quite noticeably. 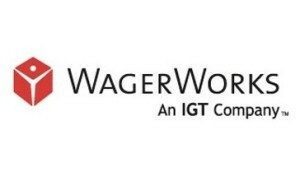 Anyway, please do read on for there is some highly playing Blackjack games on offer at all online casinos using the Wagerworks gaming platforms and you can of course play any of them for free or for real money. The actual table stake limits are also quite liberal and as such all low and high rolling players will find a staking option on each of the following blackjack game variants that they will be comfortable to play for. Hot Streak Blackjack – The Hot Streak Blackjack game available at Wagerworks powered casinos has six decks of cards in the shoe, and when played optimally you will get the house edge down to a low 0.23%. When faced with a hand worth a soft 17 or higher the dealer will always stand those hands. This Hot Streak Blackjack game is not a hole card game and players can double down on any two cards that have been dealt out to them, and players are going to be able to double down after they have split a pair of cards. Power Blackjack – Six decks of cards are in play in the Power Blackjack game which is found in the gaming suite of casinos using the Wagerworks suite of games. You are able to double down when playing this game on any two cards dealt out to your hand, and can double down after splitting any pair of cards. The Power Blackjack game from Wagerworks is not a hole card game and no surrender option is available, perfect strategy will get the house edge down to 0.23%. 20+ Blackjack – 0.27% is what you can get the 20+ Blackjack games house edge down to if you play this game with perfect strategy in place. This game is another Blackjack game variant from Wagerworks which offers no surrender options and has a total of six decks of cards in the shoe. The Dealer plays any hand worth a soft 17 by standing those hands, and will peek as this game is a hole card game. Players will be able to double down on any two initial cards and can double down when they have split any pair of cards. 21+3 Blackjack – You will be able to play 21+3 Blackjack at Wagerworks powered online casino sites and by doing so you will be playing a game on which the house edge can be as low as 0.30% when you play this game optimally. This variant has six decks of cards in the shoe and the dealer peeks on aces and stands on all soft 17 hands. A player is able to double down when dealt out any two initial cards and will then be able to double down when they have chosen to split a pair of cards no surrender option is offered on this blackjack game. Multi Hand– A Multi Hand game is also available when you play at Wagerworks software powered casino sites and this game is one on which you can get the house edge down to just 0.46% with perfect strategy. You will find this game has six full decks of playing cards in its shoe and whenever the dealer has a soft 17 hand he stand that hand. The game is a hole card game so the dealer peeks at his down facing card when he has an ace showing and players can both double down on any initial two card hand and can double down after splitting a hand no surrender option is available on this game. Table Blackjack – Another Blackjack game variant that Wagerworks software powered online casino sites has on offer is Table Blackjack, and you will find this is a fairly low house edge game with perfect strategy as the house edge can be as low as 0.46%. It is a game on which eight decks of cards are in play and the dealer stands when dealt out a soft 17 valued hand. As this game is a hole card game the dealer peeks when dealt out an initial ace and all players can double down their hand when dealt out any two cards and can also double down their hand when they have split a pair.